The "King of Instagram" and self-proclaimed poker player Dan Bilzerian, best known for posting pictures of himself surrounded by barely clothed models to his 22.6 million followers claims he's entered the first monogamous relationship in his life - evidently, his partner is young model, 22-year-old Sofia Bevarly. Let's start this week with some less-than-serious news: poker pros Erick Lindgren and Erica Schoenberg got married in Santa Barbara yesterday. Many poker professionals attended the event. We wrote about Erick Lindgren a week ago, when he finished second at the WPT Championship, where Erik Seidel has beaten him. Now, however, Lindgren is a clear winner: he and Erica Schoenberg tied knots yesterday in Santa Barbara, Florida. Many poker pros attended the event, Daniel Negreanu and Phil Hellmuth even posted some pictures of the wedding to their Twitter. If you can't decide how to spend your well-earned millions of poker dollars, well I have some great ideas for you. Cars are oldschool now, why not buy land? I mean...land inside a lake or an ocean. It's more popular among high rollers to buy a very own island than you would think. Many actors and actresses have their very own retreats surrounded by lots of water. Want to join the club that includes names like Johnny Depp, John Lennon, Marlon Brando, Mel Gibson, Leo DiCaprio, Eddie Murphy, Celine Dion, Michael Schumacher etc.? All you have to do is buy an island. One of the most renowned naturist resorts, Cap d'Agde (Hérault, France), is to celebrate its 40th anniversary – by organising a poker tournament, as a result of the cooperation between the local casino and the Union of Professionals of Naturist Tourism. you're probably NOT going to see in Cap d'Agde. Although no exact date, event structure or buy-in information is yet available, the entrance fee is announced to be €150 (and, of course, you’ve got to lose your pants). The main purposes, according to poker777.com, are to popularise nudism and “reach a wider audience” with the association. Cap d'Agde, hosting about 40,000 people summertime according to The Cake Blog, provides visitors with everything a usual resort does, except here all these can be enjoyed naked. Unfortunately, I must agree with most of my sources: on poker games like this, you can expect 0.5-1% of the participants to be women, at best. Copenhagen, Denmark, is in itself an outsanding city definitely worth a visit, but a club opening next month, called 7th Heaven, gives us another reason to start packing. In middle of Denmark’s capital, 7th Heaven is set to open next month, awaiting not only the most wealthy visitors (the entry fee will be only €25). At the moment, the club is striving to receive a poker licence, but the games played will not necessarily have cash rewards, rather champagne or..hm…other services. Spending my time watching videos on YouTube on the weekend, I once again realized how good and soothing it can be if all you have to do is to play poker. These poor Japanese businessmen (and women) are hustled onto these trains several times every single day during rush hours. If someone or something doesn’t seem to fit in, the metro staff appears and helps pushing them on the already overloaded trains. Of course, this system works with the Japanese, as they are probably the only people on this planet that are orderly enough to tolerate and control this kind of traffic, but I (because I do have a choice) would prefer working from the warmth of my home, far from the troubles of crowds and mass transportation. And by playing poker, this is not at all impossible. Moreover, it is pretty evident that poker players don’t have to go to offices every day, which already makes it sound like the job of your dreams. Samuel McMaster Jr. has been found guilty of 26 felony counts of fraud, related to falsely selling securities. Samuel has been ordered by court to pay the victims back as a part of his conviction. However, his only legal way of earning cash is playing poker, as Mr. McMaster is a professional gambler. The court gave Samuel permission to leave his home state (New Mexico) in order to travel to poker tournaments. He will need to make a compensation payment of $7,500 every month for the next half year, and if he misses any two of these, he will be facing a prison sentence up to 12 years. Phylis H. Bowman, prosecutor of the case, added the following about the strange verdict: "There's nothing to indicate that he's a violent threat to society. So based upon those factors, that's what determines conditions of release. It has nothing to do with profession." If McMaster meets the monthly requirements of collecting $7,500, he might receive a more benevolent sentence. Tag Heuer, well-known for their beautiful wrist watches, has now come up with something unprecedented: the Squadra Night Vision Sunglasses. The lenses have been designed mainly for 24-hour-long car races, this is what, for example, Peugeot drivers were wearing at the Le Mans 24-hour-race. These sunglasses have a titanium body and big contrast lenses, being the first sunglasses in the world that are capable of making up for late night myopia (this is when, at night, our eyes progressively lose focusing capability when staring in the darkness for a long time). Jack Ury (97) is playing in the WSOP championship the 4th time in a row, beating his own 2009 record of being the oldest player to the race. Ury made it to Day 3 with 8,500 in chips. Romain Jerome only needed one month after the eruption of the Icelandic volcano to put his own design into a wristwatch. The Eyjafjallajökull-DNA is a completely absurd piece, the dial and its decorations are made of real ash and rocks retrieved from the erupting volcano and in case you doubt the authenticity of the rocks, a certificate is supplied with each watch sold, ensuring ‘quality’. The hands symbolize airplanes avoiding the lava storm, and as always, there are no numbers to guide us with the time. With its lava bubble indent and all the harsh and gloomy-looking material, this watch is not a Rolex, rather a monster on steroids. This is where it begs the question: Who the hell is going to buy this? Let’s face it a good portion of our time these days is taken up in front of a computer. Either it be for grinding online or for entertainment, computers are now playing a larger role in all of our lives. With so much time spent in front of a computer it is important to think of our well-being and comfort levels. Facing these important matters is essential to create our own oasis. One of the best steps we can take to get closer to this can be with the use of the right equipment i.e. the right chair. 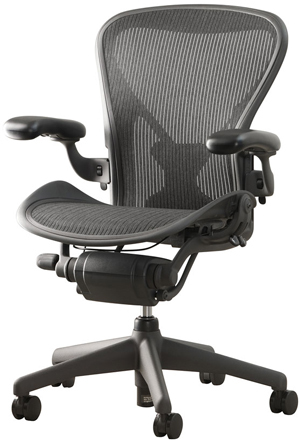 The Aeron chair designed in 1994 is still said to be one of the most comfortable and ergonomic chairs available on the market today. Just one of the many products that the American office furniture manufacturer Herman Miller has on offer it definitely stands out for its uniqueness. It is easy to see that the chairs designers Don Chadwick and Bill Stumpf had one goal when designing this chair to make a chair that offers a wide range of adjustability. 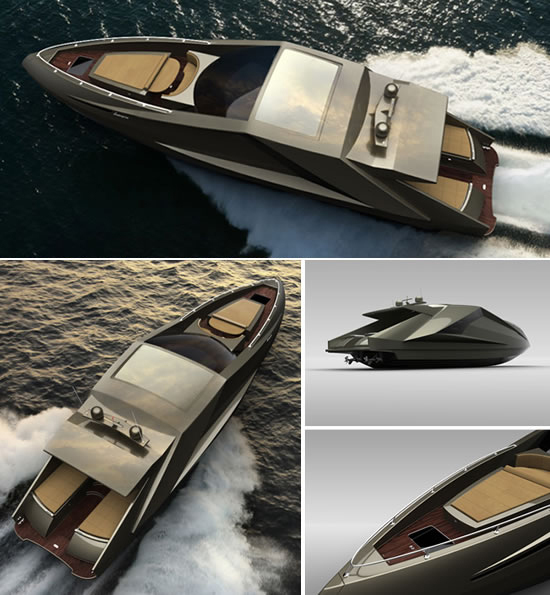 Lamborghini’s Bizarre 36 Valve Yacht - Got the Need for Speed? We’ve already got used to the fact that rich guys even use their Lamborghini to go to the corner store to grab more toilet paper, but what happens should they wish to get on water? Of course, you can drive your luxury Gallardo to the docks, but that’s as far as it’ll take you. 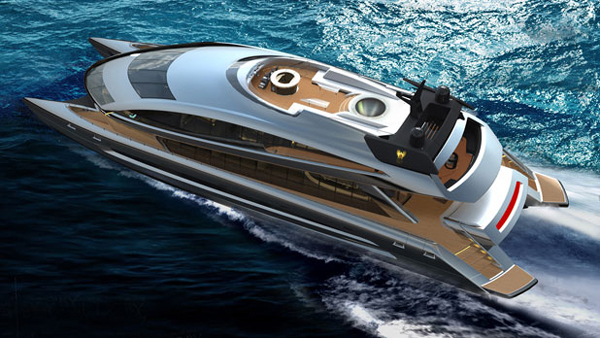 No need to stress, though, because the new Lamborghini yacht has arrived. In 2008, when Porsche first released its secret blueprints for the catamaran-like superyacht, they were not taken that seriously by the public, with most saying it would never get built. We don’t know what the odds would have looked like at betting offices for ever seeing the yacht on water rather than paper, but now it’s clear it is not just a fancy drawing. All speculations were crushed when spy photos of the luxury superyacht appeared in Superyacht Times. I don't think there is anybody on this planet who would like to break Terrence Watanabe's record of losing 204 million dollars in one single year. The American businessman was a regular visitor at the Harrah's Entertainment casinos in Las Vegas and is still more than 14 million dollars behind with his payments, which means that he could even be facing 28 years in prison. 52 year old Terrence Watanba from Nebraska took over Oriental Trading Company, his father's business in 1977, which is mostly dealing with party accessories and toys. The company's yearly income exceeded 300 million dollars, when Terrence sold it to Brentwood Associates in 2000. Although the buying price has been undisclosed, it is highly probable that Watanabe received enough money to secure a wealthy life for all his descendants. However, the 52 year old workaholic couldn't bear having free time and first became the prisoner of alcohol, and then got addicted to gambling. As he regularly did these two free-time activities at the same time, he started losing huge sums of money, which means that the most his descendants can inherit will be his huge debts. According to the first reports by Harrah's Entertainment, he had lost 127 million dollars in Rio and Caesars Palace, but it later turned out that they had underestimated his losses, which truly add up to around $204 million. Watanabe is still unable to put together $14.75 million, which means he could be facing up to a 28-year sentence. Watanabe's attorney attacks the casino's attitude, saying that his patient had intentionally been given prescription drugs and alcohol to keep him playing. "They took advantage of his inebriation to defraud him out of tens of millions of dollars," O'Donnell said. "There was a concerted effort from the highest levels of management to keep him gambling. They targeted him and then took advantage of his vulnerabilities. He is the victim here." I was just browsing the net yesterday when I stumbled across an intriguing and inspiring video of a 106 year old man who still enjoys the occasional poker game. Ruben Hopper from Pawnee Country, Oklahoma, was born on August 13th 1903 and was raised on a farm being one of 17 children.